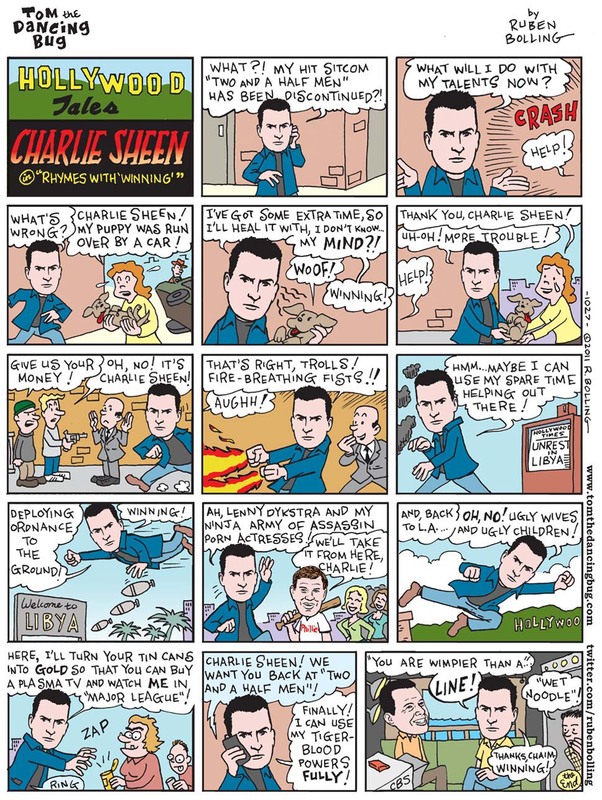 TOM THE DANCING BUG: Charlie Sheen In “Rhymes With WINNING”! This entry was posted in Personal, Smack, The Real World. Bookmark the permalink.